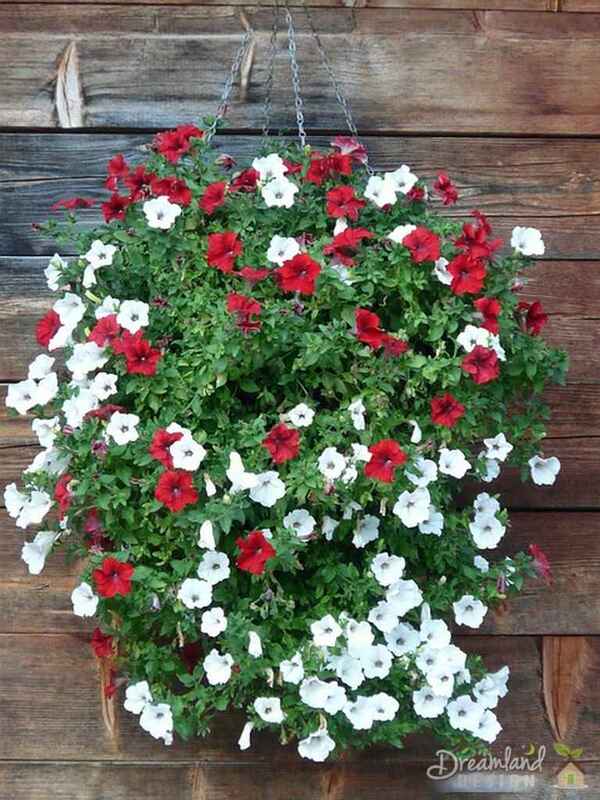 Hanging flower baskets are a beautiful way to dress up your porch or patio. They also make lovely gifts for Mother’s Day or other occasions. Unfortunately, premade baskets can be pricey. However, it is easy and fun to make your own flower basket creations! A porch full of beautiful blooms can be breathtaking. Hanging baskets of flowers are a great way to add to your home’s curb appeal, but buying pre-planted containers can be quite expensive. 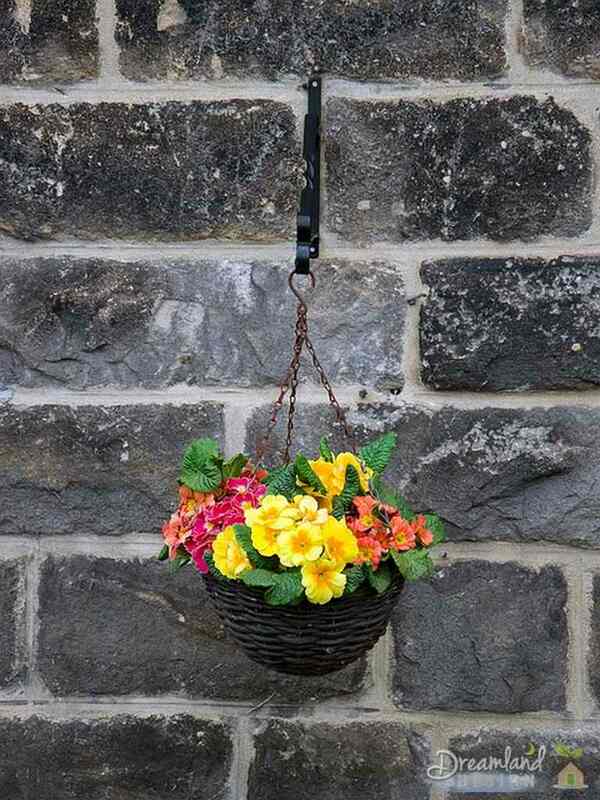 Learning how to make hanging flower baskets is a great way to cut the costs of dressing up your porch or patio. Furthermore, creating your own flower baskets for gifts is far more personal than giving premade pots from the garden center. Garden centers carry many varieties of containers to choose from. Your container needs to be light weight and easy to hang. Plastic containers may be the easiest to use for hanging baskets because they are light weight and don’t dry out as quickly as plain terra cotta or clay containers. However, any pot may be used with the addition of a hanger such as a macramé flower pot hanger. Another good choice is a wire basket with a coco matt liner. These creations are light weight and lovely. Plants can be pushed in rows through the sides of the coco matt creating a unique look. Another idea is a planting bag. Available in most garden centers this hanging container is a plastic bag with holes down the sides for plants. The end result is a stunning mass of flowers. If you recycle a used container be sure to wash it first in a weak bleach solution to kill any remaining bacteria. After washing, allow the container to completely air dry before planting. Choose a rich, light weight planting mix for your baskets. I love a bargain as much as the next guy but over the years have found that a quality soil does grow plants twice as big as bargain brands. A planting mix with a fertilizer mixed in is a good bet. Otherwise, add a slow release fertilizer to your soil. Also add a water gel to your planting mix according to the package directions. These small plastic pellets are like the plastic pellets in disposable baby diapers. The gel holds excess water in the plant soil releasing it when the soil becomes dry. Water gel can reduce the number of watering needed by up to four times and greatly increase your chances of maintaining your hanging baskets successfully. Look for the gel at your favorite garden center. Choose plants you love while keeping a few things in mind. 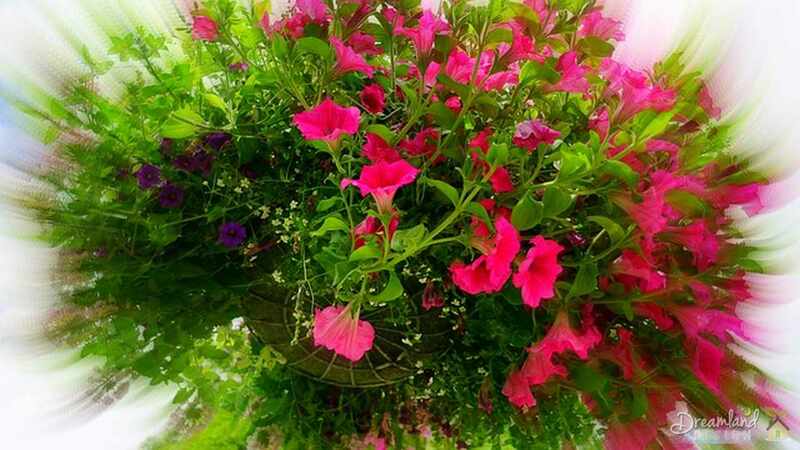 Plants which have a trailing habit, are self-cleaning, and ever-blooming are good choices for baskets. Some good choices are petunias, impatiens, fuchsia, million bells, geraniums, small ornamental grasses, coleus, and sweet potato vine. Take into consideration where you plan to use your flower basket. Group plants according to sun and water requirements. If your porch is in the shade you will need shade loving plants and full sun exposure will need sun tolerant plants. Fill your container. Cram those plants in, you want to start with a full container to enjoy not wait all summer for it to fill in. Varying plant color, foliage, and height can add interest to your display. On the other hand, a container overflowing with one type of flower can be simply stunning. The choice is yours! The biggest problem with hanging baskets is keeping them watered well. Check your plants daily and be aware they may need to be moved out of the direct sun and/or watered twice daily during the harshest part of the summer. If you know how to make hanging flower baskets, saving money while dressing up your front porch or patio is a snap.